Do you believe in life after death? 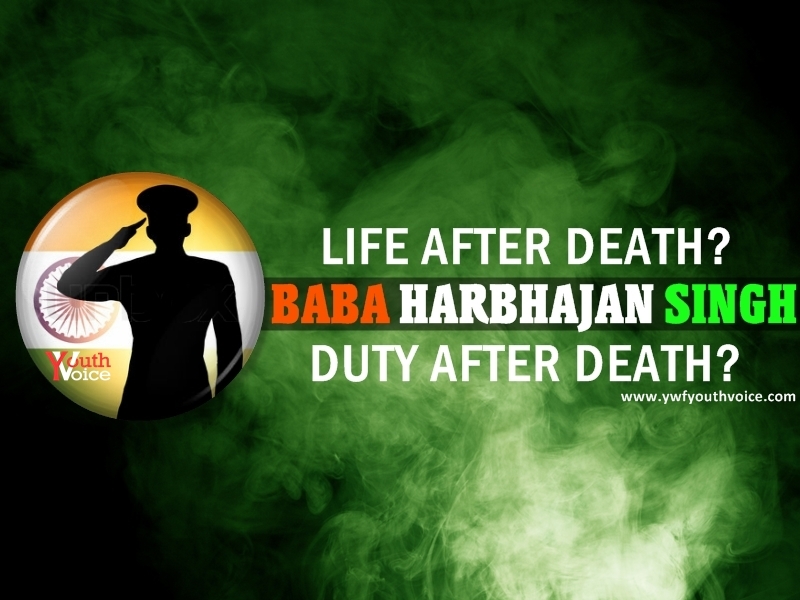 Baba Harbhajan Singh is serving his nation even after his death. Have you ever wondered what will happen when you die? Do you believe in life after death? Are there any scientific proofs of after life? Different people will have different views, here we are sharing a story of an Indian Soldier who is believed to be serving the nation even after his death. Baba Harbhajan Singh was born on 30th August 1946 in Sadrana Village, Gunjrawala District (Now in Pakistan), Punjab. He joined as a soldier in Punjab Regiment of Indian Army. In 1968, near Nathu-La pass, Singh met his end after slipping and drowning in a glacier while he was leading a column of mules carrying supplies to a remote outpost. 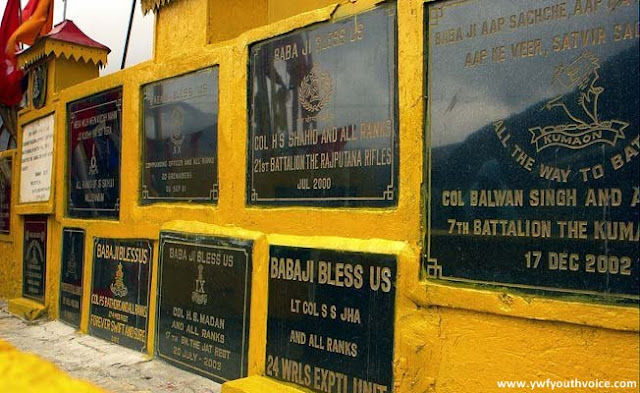 He is revered by soldiers of the Indian army as the "Hero of Nathula". His dead body was recovered after three days and cremated with due honors. But did he die? for real? People say that it was his own ghost that led the search force to his own dead body. Soon after cremation, it is believed, he appeared in one of his friends dream and asked him to build a shrine in his memory. 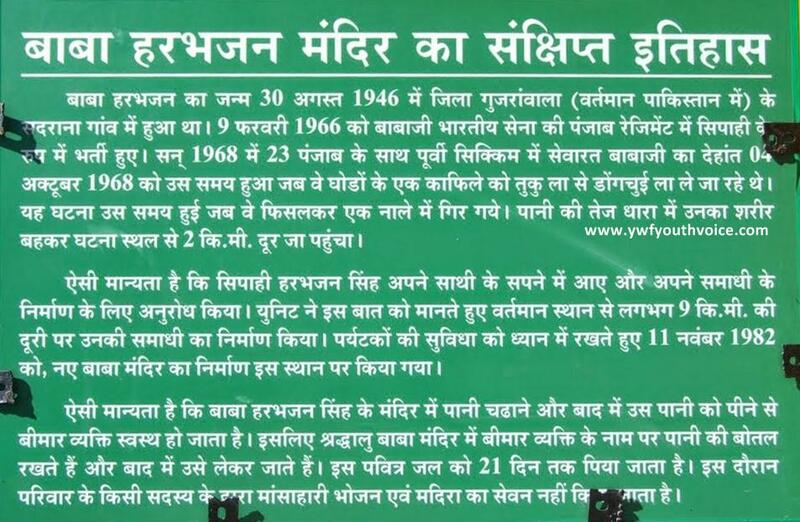 Following this, a shrine dedicated to Singh was built. 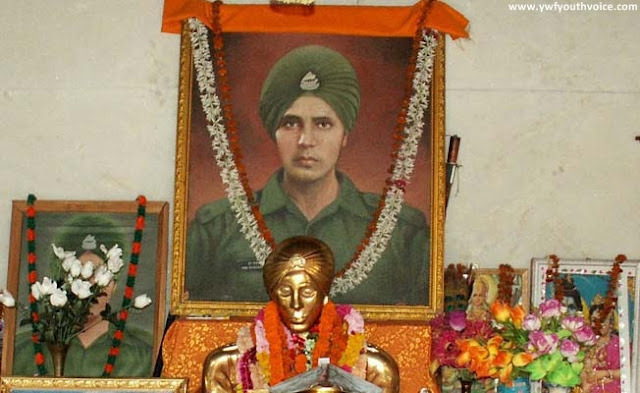 Harbhajan Singh was posthumously awarded the Maha Vir Chakra medal for his bravery and martyrdom on 26 January 1969. 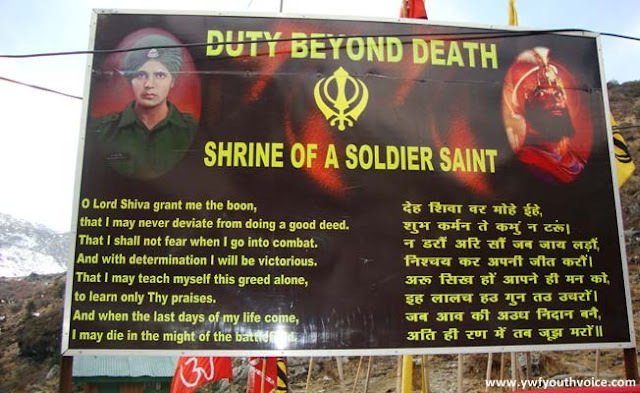 Even today, Indian Army Soldiers (jawans) posted at the Nathu-La post firmly believe that Singh’s ghost/spirit protects them. Soldiers even believe that his holy spirit warns them of any upcoming attack at least three days in advance. Even the Chinese, during flag meets, set a chair aside to honour Baba Harbhajan Singh. The water from his shrine is believed to heal ailing soldiers. 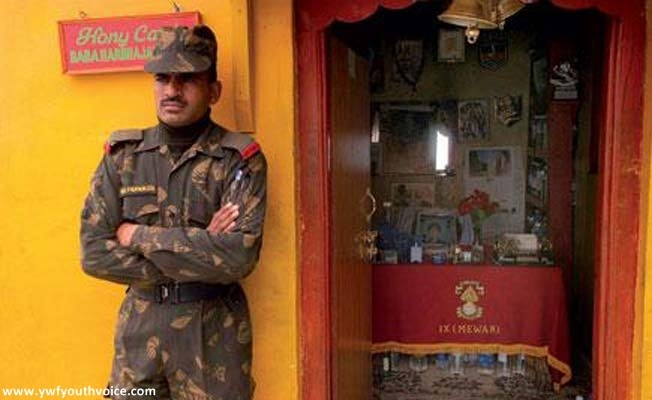 Baba Harbhajan Singh’s shrine is guarded by barefooted Indian soldiers, and his uniform and boots are cleaned on a regular basis. Stories about his ghost visiting the camps at night and even waking up the soldiers who fall sleep while on watch, are massively popular and very regular. The belief about his paranormal existence is so firm that every year on 11th September, a jeep departs with his personal belongings to the nearest railway station, New Jalpaiguri, from where it is then sent by train to the village of Kuka, in the Kapurthala district of the Indian state of Punjab. Moreover, until his recent retirement, Singh was steadily promoted up the ranks and retired as an Honorary Captain. His salary has, without fail, been sent to his family up until his retirement. Singh is looked up to as a holy saint today and soldiers often refer to him as ‘Baba’. The baba shrine has a ready bedroom just like jawans where necessities like army clothes, boot, bed, blanket etc are kept. Further there is also an office for him. Here's a video (in Hindi) telling story of Baba Harbhajan Singh, some story points may differ as everyone has their own version of this story. Let us know in the comments what you think about this story and the life after death.